Kabali and Theri to release on April 14th? RAJINI OR VIJAY - WHO IS GOING TO BOOK THE APRIL 14TH SLOT? Summer 2016 is going to be huge for the film lovers of Kollywood. We have some of the big names from the industry gunning up with a release. The biggest of all would nonetheless be Superstar Rajinikanth’s Kabali. Apparently Kabali is eyeing an April 14th 2016 release. And there are rumors that even Vijay’s Theri will be released on the very same date. Since both the films are produced by the same V. Creations banner, it is highly improbable to see them clash on the same date. But it is sure that both the films are looking for a summer release and they are on the verge of completing shoot. It would be interesting to track which of the two gets the April 14th slot. Summer is always special and has been a favorite hunting period for most superstars in Tamil. 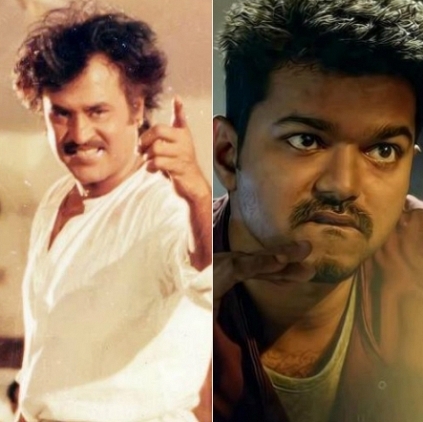 Both Rajini and Vijay have a huge list of summer box-office winners. With the first look posters of both Kabali and Theri generating enormous curiosity, let’s hope that the makers arrive with an equally good product when they release next year. Look who is topping the charts this week! What Is The Meaning Behind Vijay's Title Theri? A Stylish First Look For Vijay's Theri! Why Is Rajinikanth's Kabali Generating So Much Of Buzz? People looking for online information on Ilayathalapathy, Rajinikanth, Superstar, Vijay will find this news story useful.